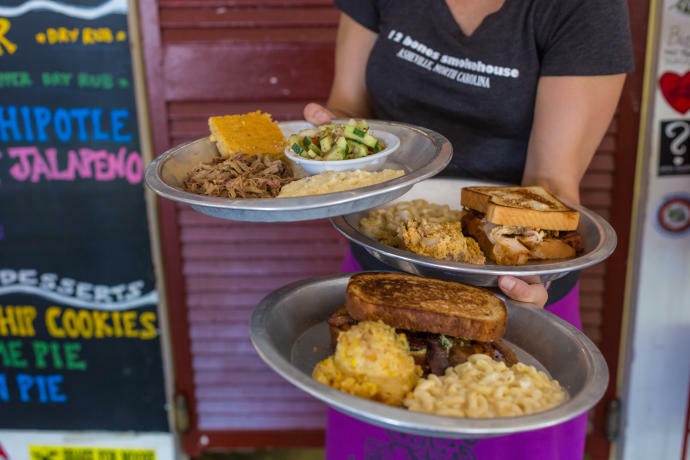 America is a divided nation when it comes to barbecue. Regional factions may debate the merits of vinegar vs. tomato-based sauce, but there’s no denying that 12 Bones Smokehouse plays by its own rules. 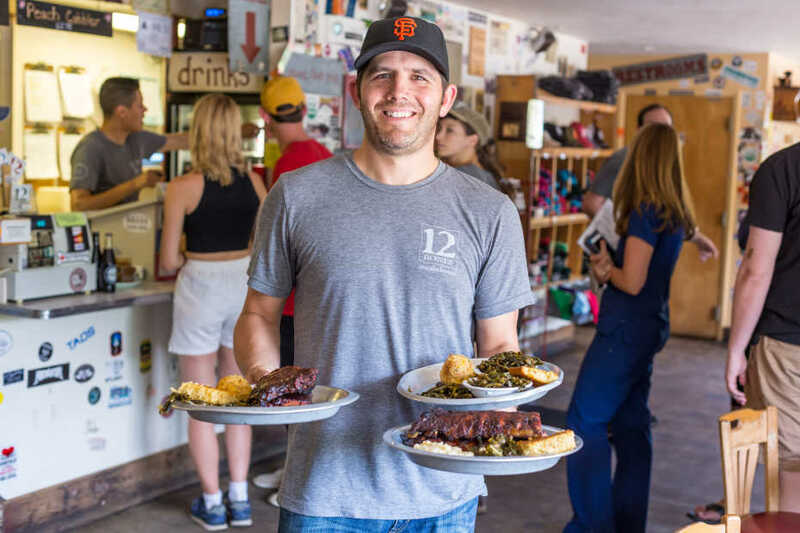 An afternoon at 12 Bones is equal parts irreverence and nostalgia — from the cheeky signs in the parking lot to the generous portion of cornbread that tastes like it came straight from Granny’s cast iron skillet. The restaurant’s signature blueberry chipotle ribs have a devoted following. 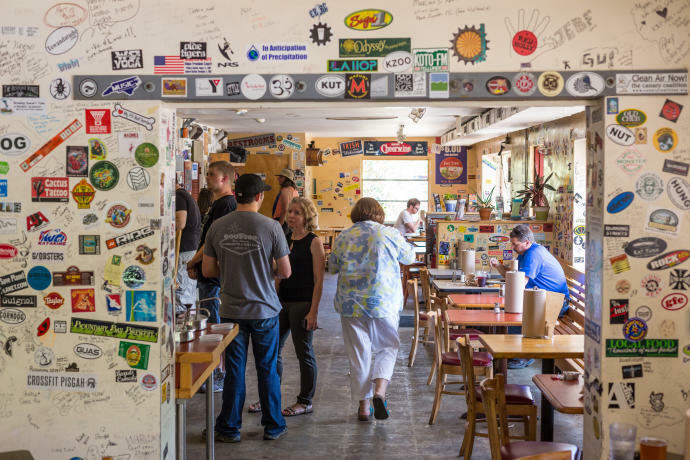 President Obama stood in line to snag a rack during his vacation in Asheville and visitors from as far away as Germany seek out its union of sweet and spicy flavors. “It’s pretty amazing during summertime — all the accents you can hear floating around the restaurant,” says Bryan.